In Switzerland, completed the first house, which was built by robots, designed computers, and parts made 3D-printers. So far, however, with the participation of man. In Switzerland, they put into operation a house that was built by Digital Manufacturing and Living robots - this is how its name (Digital Fabrication and Living) stands for. 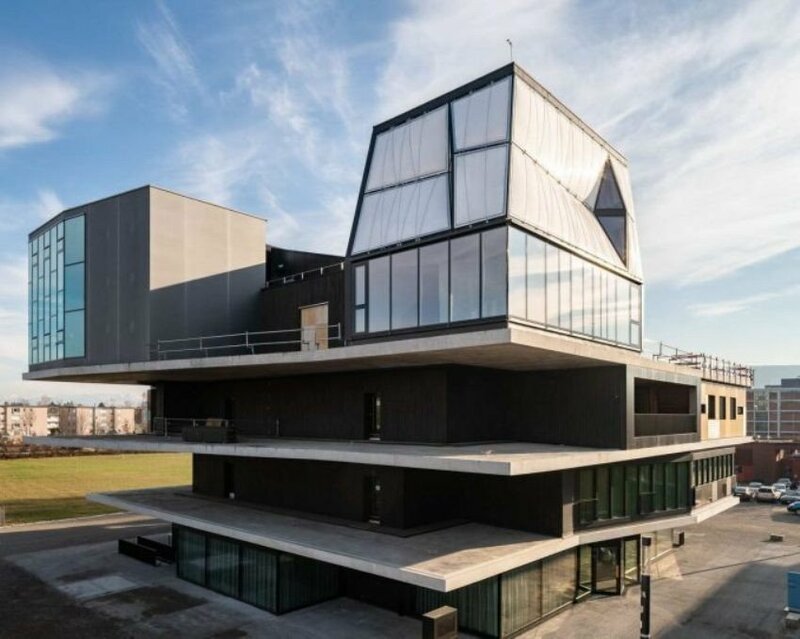 DFAB HOUSE is a joint demonstration of the digital production of the Swiss National Center for Competence in Research (NCCR) in the NEST (Nest) building. As part of a full-featured construction project, researchers from Zurich (ETH Zurich), Switzerland, have gathered together with industry experts and planners to explore and test how digital production can change our design and construction methods. Combining these new processes in a single constructed facility allows you to rethink the entire planning and construction process and use the advantages inherent in the digital chain of design, planning and manufacturing: design flexibility, saving material, saving time and cost and improving quality. It is already clear that the architectural potential of digital technology is enormous, but is almost never used on construction sites. Experimental projects like DFAB should speed up the transition from theory to practice, says ETH Zurich professor Matthias Kohler. The house turned out to be futuristic: the blinds are raised on command and the water in the kettle starts to boil; It has a multi-stage security and lighting control system. The work of the smart home is provided by digitalSTROM equipment. The “smart” technologies of this house work not only at the household level, they also help to control energy consumption. Solar cells on the roof provide energy - on average, one and a half times more than is necessary to maintain the house, and the “intelligent” control system controls its consumption and smoothes the load peaks. That is, it is an "active home". Heat from wastewater is not wasted, but transferred further through heat exchangers installed in shower trays. Unused hot water is returned through the pipes back to the boiler, which allows not only to save energy and water, but also to prevent the growth of bacteria in the pipes.